Speaker of the House Paul Ryan has promised conservatives for years that he would be able to deliver on his promises to fix the entitlement system, reform the tax code, pay off the national debt and repeal Obamacare once a Republican was president. The victory of President-elect Donald Trump has now given Ryan that chance — and conservatives should seize it, rather than indulging in a round of fruitless infighting that would destroy a unique opportunity to save the country’s fiscal future. 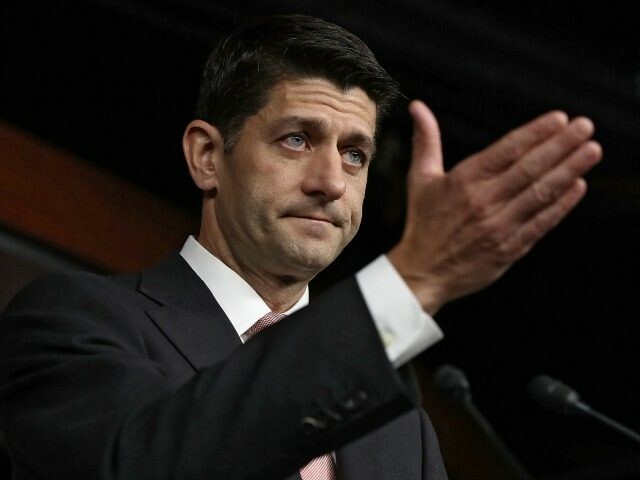 Ed Martin of the Eagle Forum argues that conservatives should confront Ryan, primarily because Ryan had backed free trade and immigration reform. Ryan, he said, also had “a plan to cut Americans’ hard-earned benefits” that voters rejected. But Ryan backed off immigration reform when conservatives rejected the “Gang of Eight” bill, and free trade deals are no longer on the agenda, for better or for worse, now that Trump’s election victory has prompted President Barack Obama to pull the plug on the Trans-Pacific Partnership (TPP). Martin is correct to point out an apparent tension between Ryan and Trump on the question of entitlement reform. Trump campaigned across the nation on a promise to protect Social Security. “You made a deal a long time ago,” he told Iowa voters on the Sunday before Election Day. Yet Ryan’s plans for Social Security and Medicare reform both preserve the current system for people age 55 and over. They would apply to younger people, making Social Security more like the savings program that many people (wrongly) assume it already is, and moving Medicare towards a model of individual insurance. The proposals Ryan made as chair of the House Budget Committee to tackle the deficit and the debt were among the reasons conservatives cheered his nomination as Mitt Romney’s running mate in 2012. Those plans are even more relevant today. In every area other than trade and immigration, Ryan’s policies line up with Trump’s policies. The remaining tensions on entitlement reform, and the details of specific tax policies, could be the subject of productive negotiation between the White House and Congress. Ryan made several political stumbles during the election, fearful that media scandals around Trump’s rhetorical blunders would translate into losses for the party as a whole. But Trump overcame those obstacles and had political “coattails,” helping the GOP hold both the House and the Senate. Conservatives should give Ryan a chance to show what he is capable of achieving when he is finally able to pass legislation. He could help Trump make his first 100 days among the most consequential of any president since Franklin Delano Roosevelt. This is the opportunity for which the Tea Party campaigned, and which the country desperately needs. It may not arrive again.